Zhou Xun: Chu Chou reporters visited the team of "Painted Skin"
Chu Chou reporters visited the team of "Painted Skin"
Directed by Gordon Chen with the cast of famous actors: Zhen Yi Dan, Zhou Xun, Chen Kun, Zhao Wei and Sun Li, the movie "Painted Skin" (a.k.a "Hua pi") was filmed in Hen Dian in the beginning of December last year. As schedule, the movie will be completed shooting in March 2008 and will be released in October. In the middle of December 2007, Chu Chou reporters took a visit to shooting place of Painted Skin in Hen Dian at 6.15 p.m. At that time all the team was busy with preparing for evening scenes. It was known that all staffs and actors had to work all day and night. Reporters first saw Chen Kun in black old custom. Some supporting actors wore clothes like him. Playing as Chen Kun's wife, Zhao Wei appeared in black dress with high bun. They would have the first scene this evening. Chen Kun and some warriors entered the room, a servant saw him and shouted "madam, madam", then Zhao Wei went downstairs. The scene looked rather simple but due to director's high requirement, it took them more than 2 hours to finish shooting. 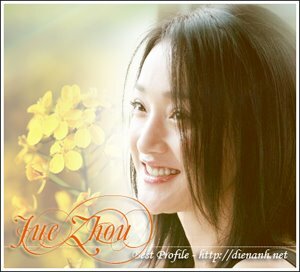 At 8.45 p.m Zhou Xun looked like a beautiful young girl in white dress started to photograph. She smiled and walked toward warriors, gave them some tea and asked them questions. Her performance was natural and the scene went so smoothly that director Chen felt happy. After Xun's scene, all had a short break. Xun sat next to Chen Kun and they had lively conversation. Director Chen and Zhao Wei then joined the group of them and enjoyed noisy atmosphere. It could be seen Zhou Xun's mood was so good and it was her that made atmosphere of shooting place exciting after sad scene.